Nicholas Coley’s painting Sectional View from Bernal Heights was featured in the San Francisco Chronicle’s Sunday Datebook. For the first time twelve of Randy Beckelheimer’s large paintings are together for public view at the Bank of America Bldg. lobby! 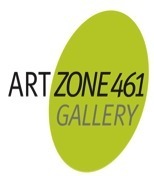 Adam Cahoon’s exhibition at ArtZone 461: Portraits of an Absurd Nature was named the Top Pick in the Arts section of The Examiner.